– Start your round in same stitch as chain. – Always join your rounds to the first stitch and not the chain. – Do not count the chain as a stitch. Round 1 | CH 28, SL ST to first CH to form ring. Finish | Fasten off. Weave in ends. Eyes/Googles | Attach the eye(s) and buttons using a tapestry needle. Smile | Take a piece of black yarn and divide it in half, so you have two strands, using the tapestry needle sew on a smile. Hair | Cut 5 two inch pieces and using a slip stitch attach to the top of the cozy. p.s. 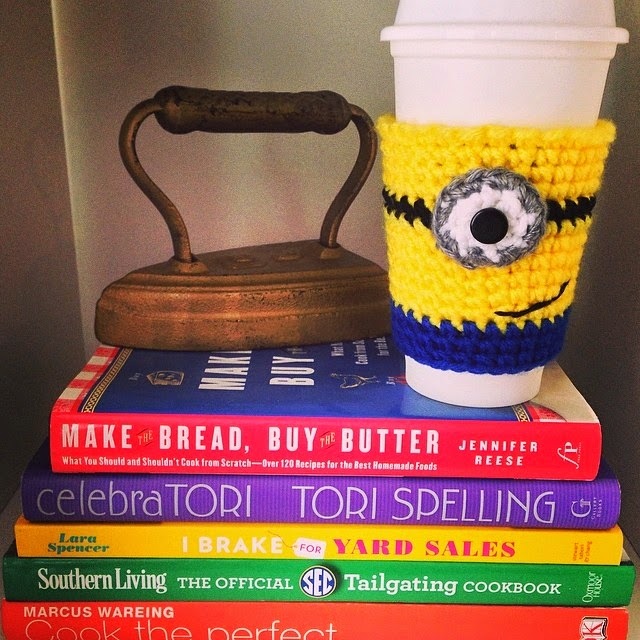 i created this cozy as a graduation gift for my minion obsessed friend! 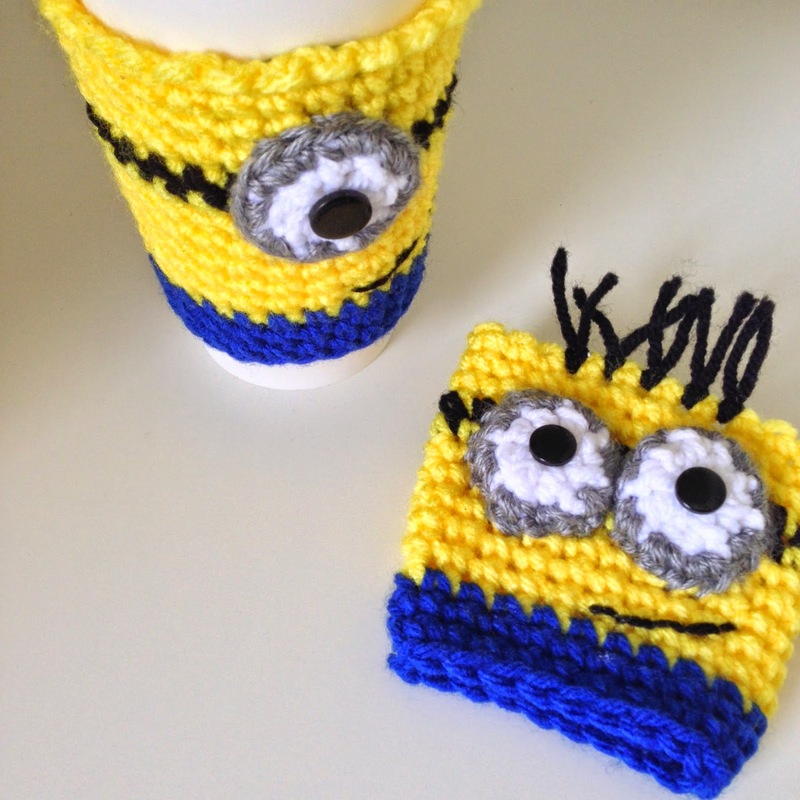 I don't crochet-but these are adorable!! Do we attach the blue in round 12? I love it. I was looking for something an adult Minion lover would like. Perfect! I was wanting something quick & suitable for an adult, but can’t do a lot of crocheting (for some reason, it aggravates a ganglion cyst, while knitting doesn’t). This fills the bill. BANANA! !